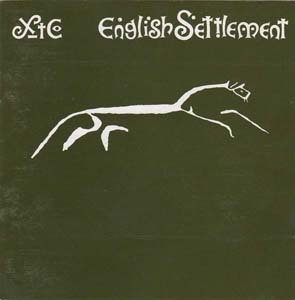 Popdose Flashback '82: XTC, "English Settlement"
30 years ago, XTC seemed poised for their commercial breakthrough. Appearances were deceiving. Originally released February 12, 1982. 1982 was the year it was all finally going to happen for XTC. They had been working a hard grind of touring, recording and promotion for the better part of five years, and the dividends were rolling in: a clutch of successful singles, a high-profile opening slot for the Police, and an album that looked like it would finally lift them to the ranks of deserved rock stardom. It didn’t happen, of course. Andy Partridge began suffering panic attacks on stage and eventually swore off live performance entirely, and the album that could have marked their emergence as a world-class band instead proved to be their last album intended to be played for live audiences. These changes stemmed from a modest origin: the band got itself some new gear. “We purchased a Prophet V synthesizer, our road-weary monophonic Korg 700S having served what little purpose we had for it,” says Gregory. “Working at the Townhouse studios on Drums and Wires and Black Sea, I’d rekindled my love of the piano as a result of tinkering around on the beautiful concert grands installed there; I wanted to get more keyboards on the next record. Andy bought himself a new acoustic guitar, a Yamaha. Colin Moulding had been influenced, I suspect, by Sting’s bass playing and bought a fretless Ibanez. In July I finally found an affordable Rickenbacker 12-string guitar, something I’d been seeking since the first American trip. As new toys, these instruments informed the sounds and textures that would characterize the new songs.